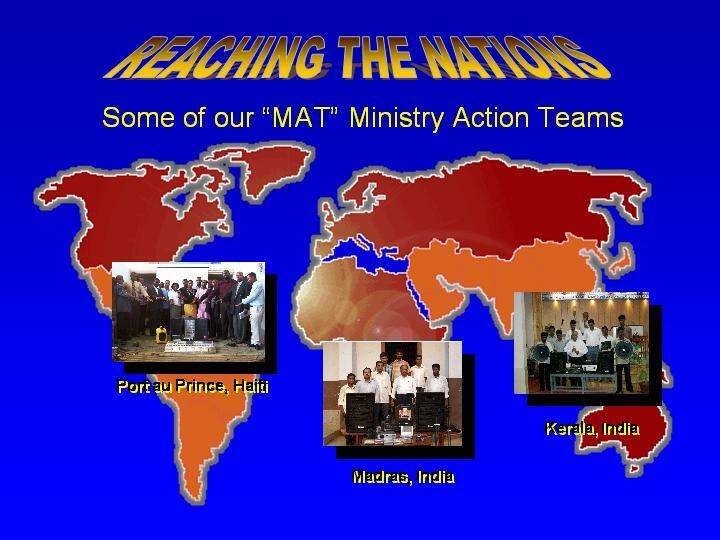 IN AMERICA: "MAT" teams are local church or city-wide teams that are committed to do outreach evangelism in their city and community. World Action Evangelism Association is a way to work together to reach our cities. IN THE WORLD: They are National Indigenous Evangelism teams that are committed to go to unreached villages and people groups to preach the gospel. They are located in National churches that are a part of our World Action Evangelism Association in nations like India, Pakistan, Haiti, the Philippines and many others... and ready to go. We have hundreds of such teams in India alone waiting to be launched,from a group of churches that are members with us in WAEA. YOUR TEAM IS READY AND WAITING FOR YOU! 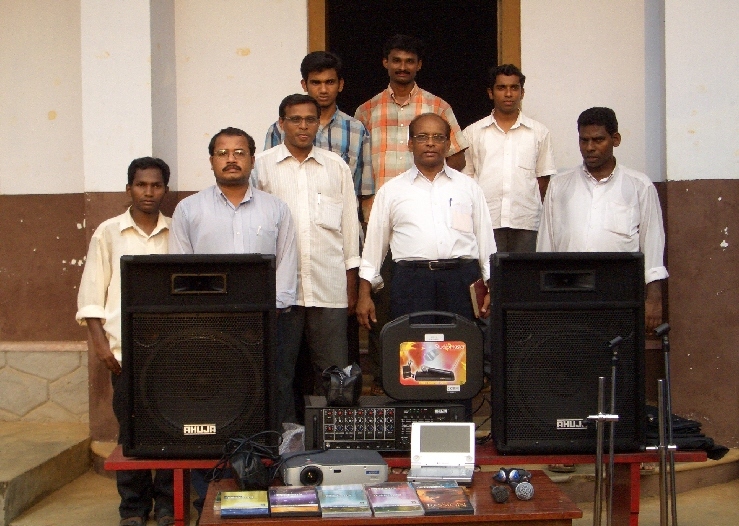 All they need is the equipment and sponsoring individuals or churches to GET THE VISION! Why are they so effective? 1. They already know the culture and language. and see over 1,000 souls come to Christ each month. What do they do in the villages? 1. We have a very specific plan that has proven to be most effective. the video on a kingsize bed sheet hung between two trees. Haitian team saw 400 people receive Christ in just one night's rally. in the next 3-5 years. with the equipment and supplies that we give them. © 2004 - 2019 Action Evangelism - All Rights Reserved.